Now you can enjoy healthy, low-carb meals without the cholesterol--in this collection of high-protein, high-fiber meat and dairy-free recipes. The low-carb revolution continues to take the nation by storm. But the heavy emphasis these diets place on meats leaves vegetarians in the lurch. 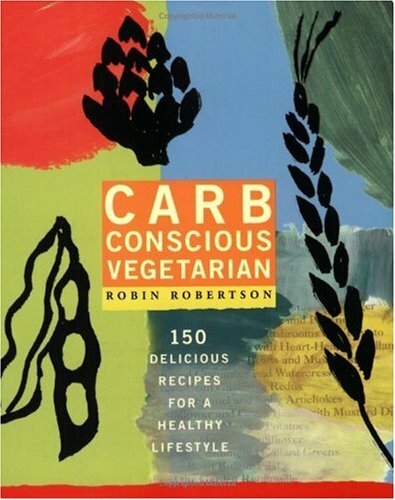 Now acclaimed cookbook author Robin Robertson offers 150 fabulous carb-conscious vegetarian recipes--meat and dairy-free dishes that banish refined carbohydrates and bring out the best flavors from vegetables and other vegetarian ingredients. Within these pages are 150 dishes that are simple to prepare yet offer the full rich flavors of more complicated fare. The delightful appetizers and main courses include Lettuce-Wrapped Spring Rolls with Spicy Peanut Sauce, Mushrooms Stuffed with Spinach and Pine Nuts, Moroccan Vegetable Tagine, and Fennel and Artichoke Gratin with Three-Herb White Bean Pesto. Sensational stews, salads, soups, sauces, sides, and scrumptious good-for-you desserts round out the mix. At last, there's a delectably enlightened way for America's 12 million vegetarians--and the millions of other health-conscious individuals who want to up their fiber and reduce their cholesterol--to reap all the benefits of a carb-conscious lifestyle.